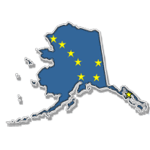 JUNEAU – Today, Representative Les Gara (D-Anchorage) presented a constitutional amendment to enshrine the Permanent Fund Dividend program in the Alaska Constitution to the House State Affairs Committee. The proposed constitutional amendment (HJR17) would place the current statutory dividend program into the state constitution. Currently, there is no language in the constitution to establish or calculate a dividend. The constitution also contains no language to protect funds from the Permanent Fund eligible for dividend distribution from being spent by the legislature for other purposes. In 2002, former Governor Jay Hammond proposed a ballot proposition to require a vote of the people to change the dividend program or to spend the Permanent Fund earnings. Lieutenant Governor Loren Leman rejected the petition, and, later is his term, then Governor Frank Murkowski proposed using Permanent Fund earnings to help fill the state budget deficit. At the same time, the Legislature entertained a number of changes to Permanent Fund management and the dividend distribution formula. In light of these attempts to spend Permanent Fund earnings, Democratic legislators proposed enshrining the dividend program in the constitution. Representative Geran Tarr, Representative Andy Josephson, Representative Harriet Drummond, Representative Jonathan Kreiss-Tomkins, and Representative Scott Kawasaki are all co-sponsors of HJR17. The House State Affairs Committee heard the proposed amendment briefly. The committee chairman said the committee would bring the bill back before the committee at a later date. ← Rep. Guttenberg’s Legislative Report: Rep. Kerttula, Budget, Education, Welcome Ruddy!